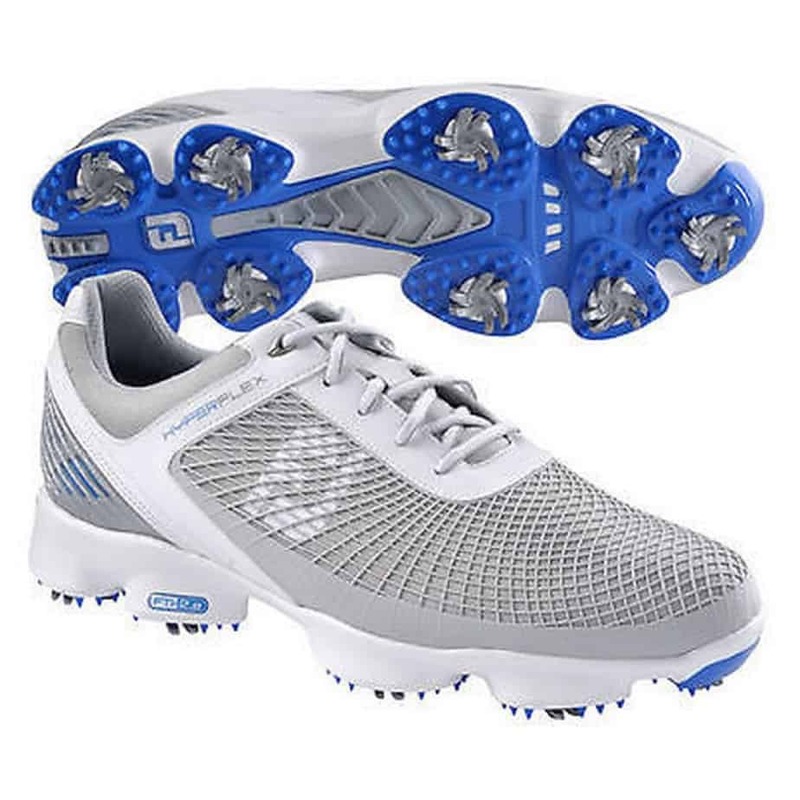 Footjoy strikes again with the Footjoy Hyperflex golf shoe. The Footjoy Hyperflex golf shoe is one of the best golf shoes on the market and is geared towards grip, stability, and more grip. They’re also pretty cheap which is somewhat surprising. 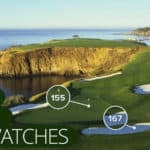 Golf shoes with this much technology typically cross around the $130 threshold, but these are well below that mark. 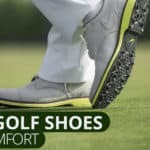 In addition to offering golfers a ton of grip and stability, this golf shoe is really lightweight because of the mesh material that is used on the upper. Overall, we highly recommend the Footjoy Hyperflex as an affordable and stable golf shoe that performs well in bad weather. 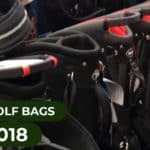 It’s a great deal and one of the best golf shoes you can buy. The Footjoy Hyperflex golf shoe is surprisingly soft and provides great lateral stability for shifting your weight on your downswing. This is fairly odd for such a lightweight golf shoe. 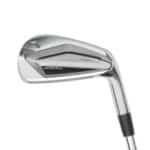 When you take weight away from a golf shoe, manufacturers typically reduce padding and rubber elements. This is not the case with the Footjoy Hyperflex. 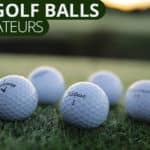 These golf shoes are made with soft FTF 2.0 cushioning, which is specially designed to make the shoes great for the arches and the ball of your foot. These golf shoes are also slip resistant for those of you with sweaty feet. To top it all off, Footjoy added a narrower heel to grip the foot better – allowing your foot to stay in place during various movements. 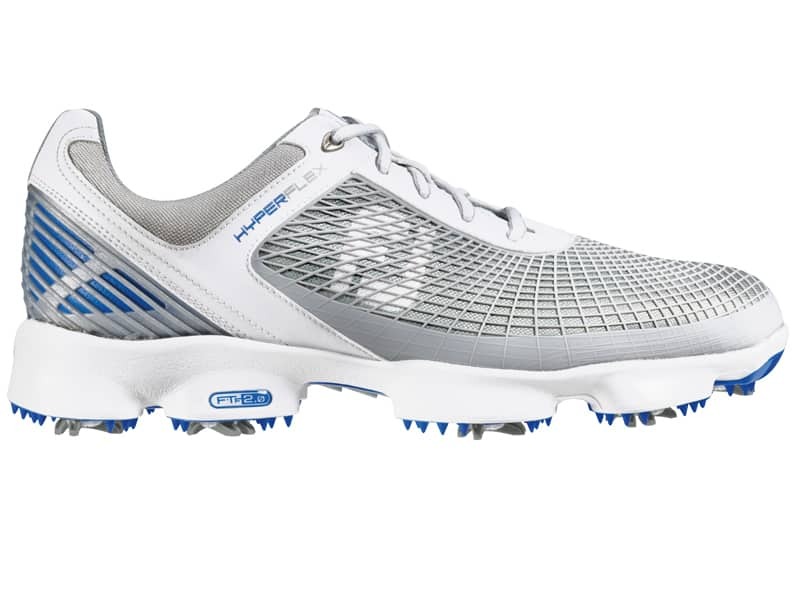 The Footjoy Men’s Hyperflex golf shoes feature Next Evolutionary Outsole (NEO). 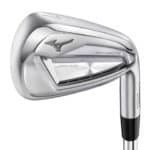 We’re not sure what this means, but Footjoy claims that it enhances stability and performance. One quick caveat with this shoe is that Footjoy has seemingly named and/or trademarked every part of this golf shoe. But despite the overly complicated names, as you can see above, you’re feet aren’t going to slip in these shoes. This golf shoe features nine cleats (designed like tornadoes) to give you maximum grip. To maximize stability, these golf shoes come with a performance stabilizer that keeps your heel and ankle stable while you swing. The Hyperflex by Footjoy is a great product and is the best golf shoe on the market for golfers on a tight budget. The Hyperflex retails for about $50.00 cheaper than its competitors without sacrificing any important features. To be honest, we’re still trying to figure out what’s wrong with this golf shoe because it’s priced so low, but we can’t find any drawbacks. The Hyperflex is comfortable, stable, waterproof, lightweight, and affordable. You really can’t ask for more. Without a doubt, it’s one of the best golf shoes on the market today.